Get ready to laugh! Rabbi Orlofsky is joining us from Jerusalem!!! And you are in for a BIG treat!!!! It is not every day that the funniest Torah genius is in Scottsdale! 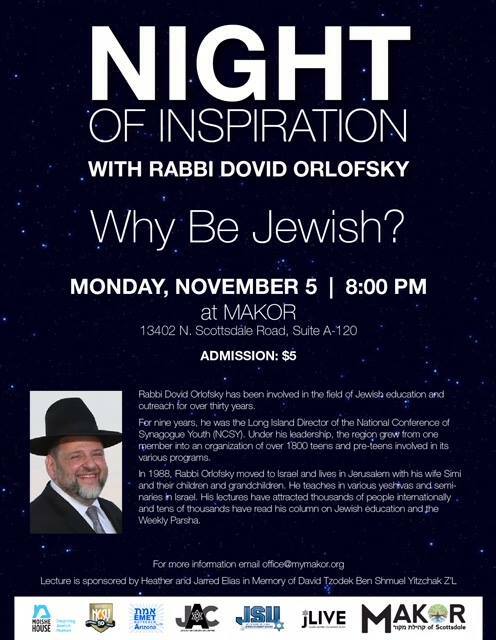 Hosted by MAKOR, jLIVE Arizona, Emet, NCSY of Phoenix and JSU.